Mamatha Muraleedharan is a highly passionate Content Writer at Grow combine. She believes that conversational and insightful content can help her customers resolve and bring a resolution to their life. 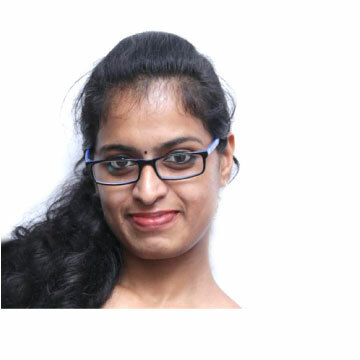 She is also hailing from a strong business and analytics background, with a Master of Academics from Shankaracharya University and a Mphil in Comparitive Literature where she presented her national seminar in Literature.. She started her career with Keltron, Kerala as a English trainer. She is an acclaimed as a Soft Skill trainer and is deeply passionate about her coaching career. She has written marketing communcations for various companies ranging from Startups, SME’s to Large businesses. She helps Grow combine in crafting brand stories in a right way. She is a versatile writer, May it be building a paragraph or to develop a phrase to its best. At Grow Combine, She uses her insights to help our customers and associate organizaitons to develop brand stories which make them to stand ahead of the rest.